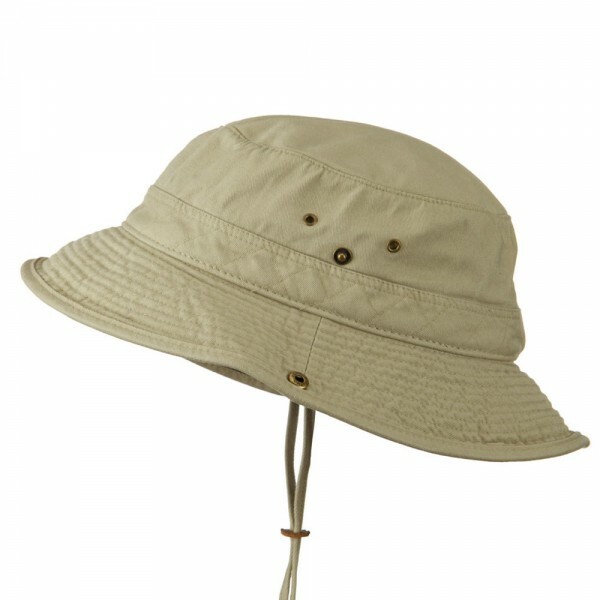 Crown measures 3 inches deep with mesh lined inside and adjustable chin string. 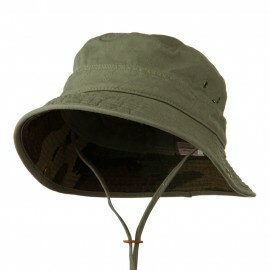 Brim measures 2 3/4 inches wide, flat, wired and downturned brim with side button snaps, camo color under brim. 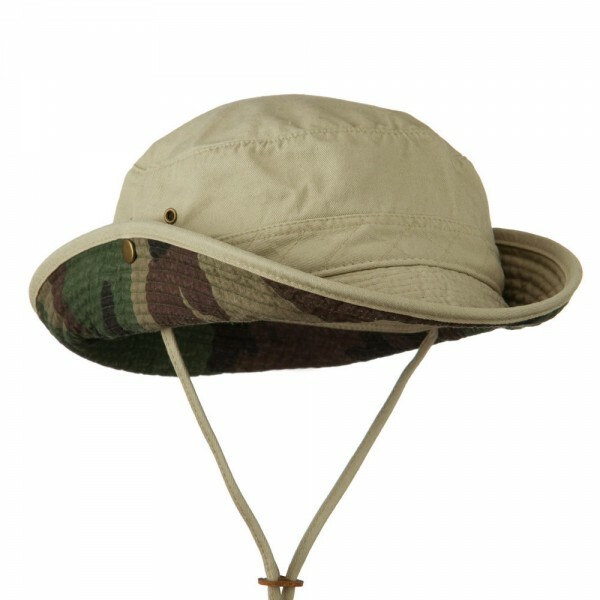 Meant to constructed for outdoor activities seekers, our Big Size Camouflaged Brim Cotton Washed Bucket Hat offers you a high quality and functional all season headwear in fishing hat style. 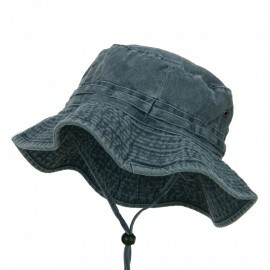 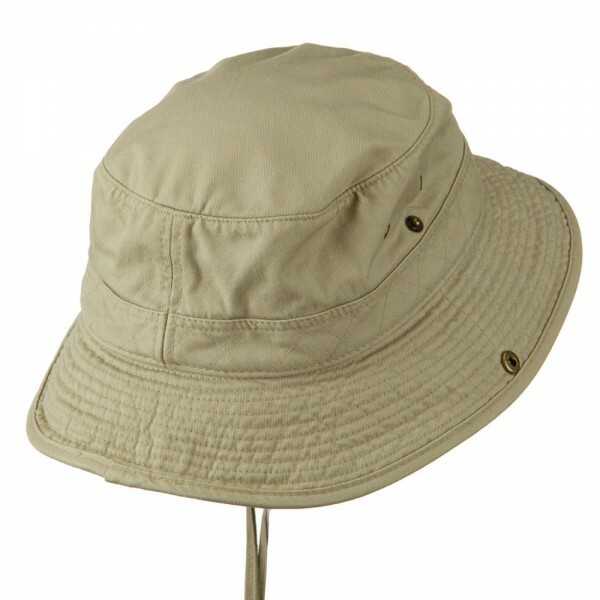 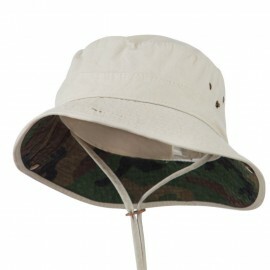 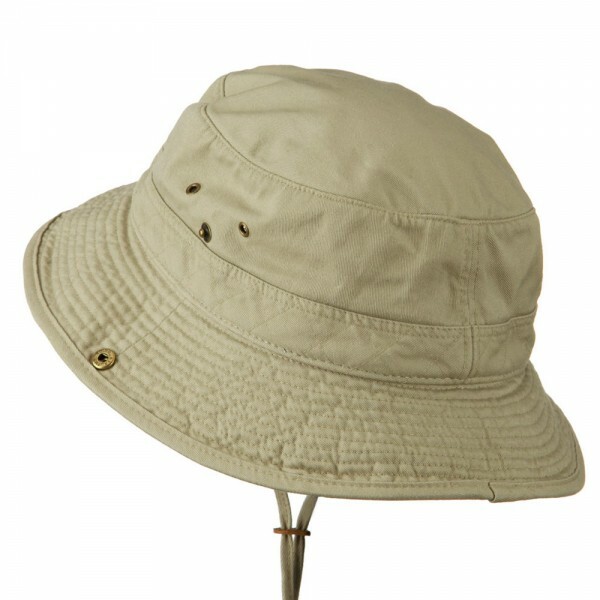 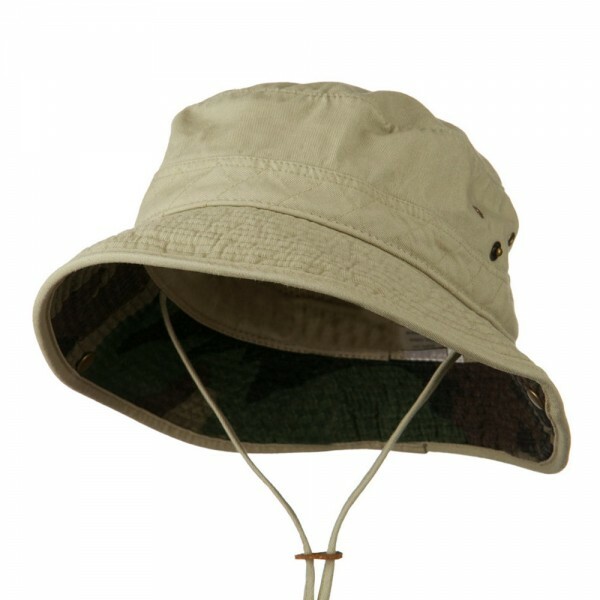 Firmly made with cotton, this bucket hat features mesh material lined inside to maintain its cool temperature in the sun as well as its chin strap to stablize the hat on your head in any movement. 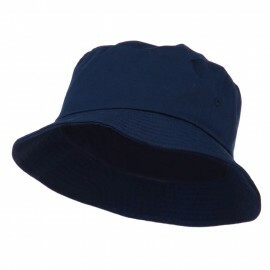 This hat also has a button on each side to adjust the position of the brim to give extra breathing space. 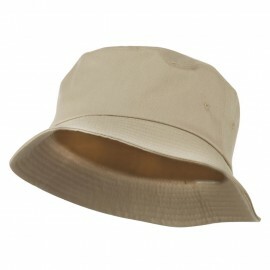 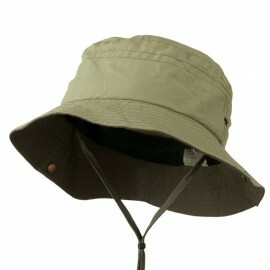 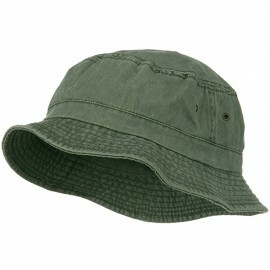 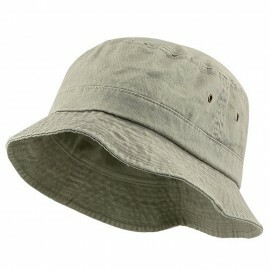 An ideal hat for your outdoor adventure as well as casual outings.